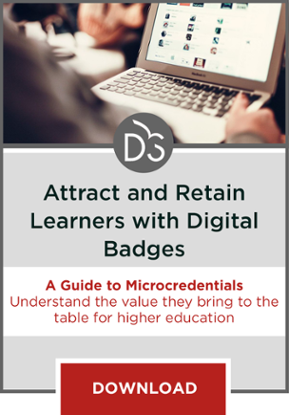 As approaches to credentialing evolve, so too must approaches to credential and student management in order to ensure that learners are being properly served. This is a great time to be in education. We are at the early stages of a transformation that will place learners at its center. Technology that has been used in the business world for over a decade is taking root in education. Led by innovators and poised for mainstream adoption, a revolution in digital credentials will change the way learners and earners showcase their knowledge and skills to future employers. IMS Global Learning Consortium has been a non-profit leader in open interoperability standards for more than 20 years. Our members, numbering 480 organizations and steadily growing, are passionate about advancing teaching and learning through technology. We have helped lead the discussion on skills-based digital credentials since 2014, when Michael Reilly, Executive Director of the American Association of Collegiate Registrars and Admissions Officers (AACRAO), described his vision for an “extended transcript” at an IMS meeting. This extended transcript would empower learners to leverage all of their knowledge, skills and abilities well beyond the traditional transcript, which today is effectively a simple report of courses completed. Soon after, IMS co-led a Bill and Melinda Gates Foundation research initiative, along with members of the Lumina-funded Competency-Based Education Network (C-BEN), which resulted in the Technical Interoperability Pilot (TIP) Report. In the TIP Report, we called out five barriers to adoption for competency-based education (CBE) programs. From that research, we developed our total commitment to digital credentials as well as the means for institutions to manage their learners’ academic and co-curricular competencies across software products through IMS open standards-enabled data interoperability. In 2015, IMS members set out to create a standards-based solution to the data integrations challenge identified in TIP. Three members in particular—Capella University, University of Maryland University College, and University of Wisconsin–Extension—emerged as leaders, with UMUC and UW–Extension receiving the AACRAO-NASPA (National Association of Student Affairs Professionals) Comprehensive Learner Record grant, funded by the Lumina Foundation. Based on their work and with the input of many other IMS member institutions and product suppliers, we published three important technical standards that together are capable of solving the vexing issue of data integration in digital credentials and its corollary function, achievement records management. These standards are Open Badges 2.0 (OBv2), the Comprehensive Learner Record (CLR), and the Competency and Academic Standards Exchange® (CASE®). Open Badges version 1.x was first published by the Mozilla Foundation. In late 2016, on the strength of IMS Global’s academic-related contributions to the body of work, Mozilla formally asked IMS Global to lead the project moving forward. Subsequently, IMS published OBv2, adding significant capabilities that, when combined with the CLR, CASE, and Learning Tools Interoperability® (LTI®) standards, make the AACRAO-NASPA vision for the future an implementable reality right now. Educational institutions want to empower their learners to achieve personal goals, which are often related to employment opportunities. 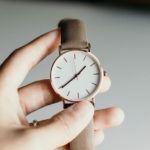 At the same time, learners are questioning the cost/benefit balance of a traditional degree path and emphasizing a more focused set of technical competencies and employability skills not typically measured in a traditional academic instructional setting—nor “credited” within traditional degree programs. Yet programs requiring accreditation are asked to provide evidence of learners’ co-curricular engagement and achievements in tandem with degree programs. In response, we are seeing the emergence of educational programs that are issuing high-quality, stackable micro-credentials which lead to a degree. Solutions such as digital credentials are now widely accepted as essential to helping learners navigate the competitive challenges they face in the skills-focused employment market. Furthermore, institutions are acknowledging that it will be necessary to officially recognize the 360-degree view of learners’ knowledge, skills and achievements in a verifiable, digital form that students can control. A transition to a fully digital credentials process, however, is not trivial. The weight of 30 or 40 years of institutional technology and data systems is a difficult thicket to cut through for higher education administrators. Legacy student information systems (SIS) and databases are simply not agile enough to adapt as needed. 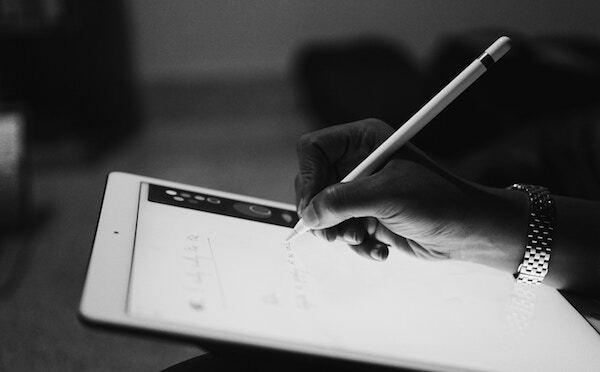 Software products and tools are coming forward to address a portion of the need, such as platforms for issuing and sharing Open Badges (OBv2), as well as new and better student portfolio platforms. These solutions require even more webs of data integration and management complexity to adopt into an institution’s infrastructure. As relevant and necessary as the new digital badging platforms are, they are only part of a solution. Lifelong learning is no longer an aspirational statement used for marketing, but a necessity in our rapidly changing world of work. Knowledge and skills acquired through experiences and coursework in high school and elsewhere should be preserved and accessible to college advisors. Verified college and university skills should translate and extend to the workplace, and vice-versa. 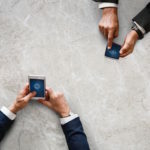 We are seeing more examples of education and workforce collaboration in the development of talent, such as IBM’s partnership with Northeastern University, and digital badges are proving to be a tremendously valuable way to publicly recognize learners’ achievements. It is the role of a Comprehensive Learner Record (CLR) to capture all achievements for learners (and earners) throughout their tenure in education, in the workforce, and back, as a verifiable digital portfolio of demonstrated accomplishments, shareable with whomever and whenever the learner chooses. The CLR is not limited to academic courses and competencies. By design, it enables co-curricular skills and achievements to be represented as relevant learning experiences that advance coursework and showcase it in practice. Increasingly, a record of achievement for the whole student is sought by employers who seek candidates with critical thinking, adaptability, communications, and leadership skills. Internships and experiential learning are also invaluable opportunities for a learner’s growth and distinction. All of these, along with other skills and achievements, are represented in IMS Global’s open CLR standard. Online registries such as the Credential Engine, analogous to a sophisticated online program catalog, hold the promise of rationalizing a sometimes chaotic market for credentials. To manage program courses and competencies at scale, each institution must have its own internal curricular framework, perhaps captured in a pathways database tightly integrated with its institution’s web portal, student information system (SIS), learning management system (LMS), and transcript system. For each credentialed program, the Pathways Database captures the courses and competencies required for goal completion. This database can be linked to assessments and external registries, such as the Credential Engine and other authoritative skill and competency frameworks endorsed by employers and associations. The data integration challenges that institutions face are those leading up to the publishing of the digital credential—that is, managing and aligning the digital curriculum components themselves. There need to be data associations and connections among program pathways, courses in the LMS, assessment criteria, and the verified records of achievement, including evidence. The data integrations standard to associate these elements is IMS Global’s CASE. Using CASE, each competency statement and sub-statement(s) in the Pathway Database has a unique ID. That ID is used to tag related curriculum elements, thus achieving alignment. Using the CASE ID, product suppliers can link the relevant competency records from their SIS, catalog systems, LMS, Learning Object Repositories, and transcript systems. CASE is also applicable across and among institutions, and capable of linking to published frameworks, the Credential Engine and other registries, allowing comprehensive web-based sharing and discovery—opening unprecedented opportunities for learners to discover and apply for jobs they want, and for recruiters to find candidates with the verifiable skills and competencies that fit their requirements. In this wider lens for viewing a student’s capabilities, the SIS will no longer be the monolithic system of record for a learner’s achievements. There may be some efforts to “open up” the SIS architecture to support inputs for co-curricular and internship records, but there is no sign on the horizon that the SIS will generate and manage the full range of digital credentials such as a CLR or digital badge. Likewise, the LMS is a great platform to deliver high-quality courses and assessments but it is not positioned to assume the role of the academic system of record from the SIS. 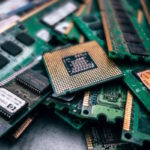 Instead, it is likely that a new class of application system will emerge: an Achievement Records Management (ARM) platform that will capture, manage, and publish institution-wide digital credentials in an open standard, exchangeable form. The ARM system will accept inputs, verified for accuracy by a designated evaluator, from multiple sources across the institution and its affiliates in a standard CLR form. The SIS will continue to provide academic course achievements in the CLR, while co-curricular and internship applications will also report verified achievements in CLR form. The ARM will accept and validate the technical compliance of those inputs and host the central repository of CLR records. The ARM will be capable of producing digital badges on demand and securely sharing protected versions of their CLR records when authorized by learners. Student advancement from high school to college and among colleges will privately and securely transfer the CLR. Employers will issue their own CLRs to learners, which will also be exchangeable with institutions, supporting new models for education and workforce partnerships. The AACRAO vision to extend the transcript and ultimately replace it with a verifiable Comprehensive Learner Record is achievable through the adoption of open interoperability standards published by IMS Global and its members. Product companies are adopting the standards and moving toward full Achievement Records Management, but the pace is too slow. Institutional leadership and influence in purchasing decisions are needed to drive change and adoption. Product suppliers respond to institutional demands for features and the expressed requirement for adherence to interoperability standards. Our shared vision will not be realized at scale without the certifiable adoption of the standards by the participants in the institutional ecosystem, which is most often made possible through the commercial products they choose to license and use. To ensure actual standards compliance, IMS Global provides a certification service and directory for these products. 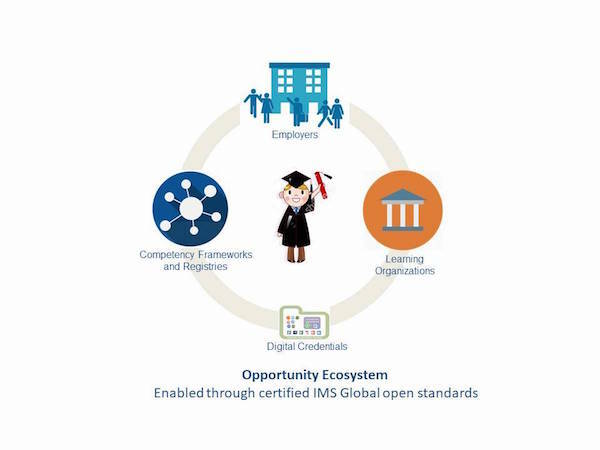 With the adoption of IMS certified open standards, institutions will be able to select the products that best meet their needs, and have confidence that the Comprehensive Learner Record and Open Badges they publish will be portable and verifiable in real time, opening the doors to new opportunities for their learners.